A single relatively wet winter has led California officials to relax in a way some water experts fear is reckless. Earlier this month, California lifted its sweeping restrictions on how its towns and cities use their water, signaling that even though much of the state continues to face extraordinary drought, a moderately wet winter has blunted officials’ sense of urgency over water shortages. 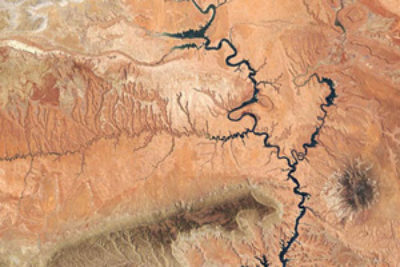 Seemingly overlooked, however, is the state’s enormous reliance on the Colorado River for its urban water supplies — and the fact that the Colorado is approaching its worst point of crisis in a generation. Colorado River water provides a significant portion of the drinking water to some 19 million of the state’s 39 million residents, making up, as the state’s largest water utility puts it, “the backbone” of supplies for Los Angeles and 25 other cities and municipalities. In San Diego County, Colorado River water comprises 64 percent of the total supplies. On May 18 — the same day that California’s Water Resources Control Board lifted its restrictions — Lake Mead, the reservoir that stores Southern California’s share of the Colorado River, reached its lowest point since 1937. Mead will continue to reach a new record low each day until the middle of June, when managed flows from reservoirs upstream will allow the bleeding to be temporarily staunched. Then levels will dive deeper still, next year. California gets its water from the Colorado River through 242 miles of canals and pipelines that begin at Lake Havasu on the Arizona border, and are drilled through mountains into Riverside County, where the Colorado River Aqueduct empties into Lake Matthews, one of the largest reservoirs to supply metropolitan Southern California. Another system, the All American Canal, runs 80 miles along the Mexican border and draws more water from the Colorado for California farmland. 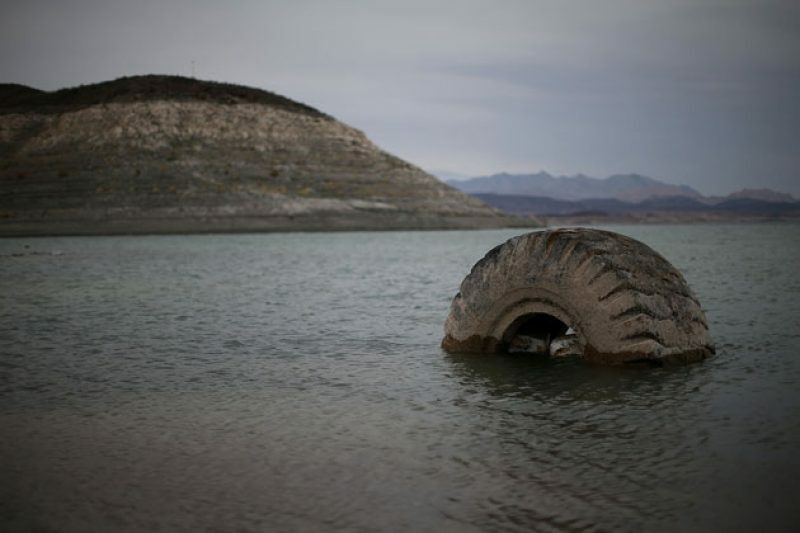 The falling water levels in Lake Mead won’t immediately dry up those canals. The state is promised all of its water even as the Colorado dries up and Arizona, Nevada and other states face critical shortages, thanks to California’s seniority in interstate sharing agreements that stretch back some 94 years. But whether such a divisive posture can be maintained as supplies continue to dwindle is an open question. In a nod to an answer, California just this spring has been considering voluntary cuts in its water, along with those other southern states, in anticipation of Lake Mead’s supplies getting even worse. That is almost certain to happen. The U.S. Bureau of Reclamation, which manages Lake Mead and distributes Colorado River waters, predicts the reservoir — now 37 percent full — will reach a new record low in 2017, part of a steady decline that began more than a decade ago as southwestern water users continued to draw far more out of the Colorado each year than the river provides. By 2019, the Bureau says, there is a 64 percent chance the water in Lake Mead will drop so low as to trigger a federal emergency provision that mandates further cuts to the states. California is the single largest draw on this resource — using nearly one third of the entire Colorado River’s flow. California’s water planners need to recognize that the Colorado may soon leave California with a significant shortfall, and, “That may happen sooner, rather than later,” said James Famiglietti, a senior water scientist at NASA’s Jet Propulsion Lab in Pasadena, California. Meanwhile, the rest of California’s water supplies are far from secure. Though the state’s largest reservoirs filled quickly after heavy precipitation blanketed northern parts of the state this past winter, peoplerecipitation in the Los Angeles area was just 59 percent of normal, and more than 43 percent of California remains in what the U.S. Drought Monitor describes as a state of “extreme drought.” Furthermore, California pumped deeply into its groundwater reserves as a sort of water piggybank over the last half decade, depleting supplies that will take many wet years in a row — if not centuries — to replenish. The water crisis in the West has renewed debate about the effectiveness of major dams, with some pushing for the enormous Glen Canyon Dam on the Colorado River to be decommissioned. Read the story. The river that sustains 40 million Americans is dying — and man, not nature, is to blame. See our coverage. So why ease up on water limits now? Cities, Marcus told ProPublica, “thought we were being too paternalistic.” So the state decided to back off. While the state made permanent a set of common-sense limits on car washing and lawn watering, it set its towns and cities loose to determine their own water conservation guidelines. The relaxed posture is not meant to green light runaway use; it’s more of a trial run for local independence. But therein lays the risk. California has always faced a shortage of water. Yet up until Gov. Jerry Brown imposed the statewide drought restrictions early last year, few California cities had effectively curtailed water use by their own free will.